Scientists have found tiny bubbles beneath the blubber of dolphins that have beached themselves. The bubbles were discovered by taking ultrasound scans of the animals within minutes of stranding off Cape Cod, US. 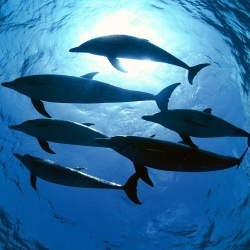 The team’s findings help confirm what many researchers have long suspected: dolphins avoid the bends by taking long, shallow decompression dives after feeding at depth.